By the end of 2013, political turmoil broke out in Ukraine after the riots on Maidan Square where over 70 protesters were killed. President Yanukovych fled to Russia and was removed from power by the parliament in Kyiv. An interim government was appointed and presidential elections were set for 25 May 2014. Businessman Petro Poroshenko won these elections and got installed as the new President of Ukraine. In the wake of the ousting of President Yanukovych however, Russia took control of the autonomous region Crimea. On 16 March 2014 an overwhelming majority in this region voted to join Russia, in a referendum unrecognised by the rest of the world. In October 2014 Ukrainians went to the polls, this time to elect a new Ukrainian parliament. Pro-Western parties won an overwhelming majority during these elections. The self-proclaimed Donetsk and Luhansk People’s Republics in Donbas, however, decided not to allow for these elections, but to hold their own, a week later. Want to get notified by mail when Ukraine gets updated? Petro Poroshenko was born on 26 September 1965. He is a Ukrainian billionaire businessman, and got elected as the fifth and current President of Ukraine. Poroshenko served as the Minister of Foreign Affairs from 2009 to 2010, and as the Minister of Trade and Economic Development in 2012. From 2007 until 2012, he headed the Council of Ukraine's National Bank. Outside politics, Poroshenko owns, along with a number of other companies, a large-scale confectionery business, which has earned him the nickname of 'Chocolate King'. He was elected president on 25 May 2014, capturing more than 54 percent of the votes in the first round, thereby winning outright and avoiding a runoff. During the parliamentary elections on 26 October 2014 his bloc became the largest party in parliament. Poroshenko is married to Maryna Perevedentseva since 1984. The couple has four children. Volodymyr Borysovych Groysman was born in 1978 in Vinnytsia into a Jewish family. In 1994 he started his career as a commercial director of his father's small private business company and as a commercial director of a private enterprise. In the 2002 local elections, he was elected as a member of the Vinnytsia City Council. A year later, he joined the party Our Ukraine. In November 2005 Groysman was elected the head of the city council and as acting mayor, whereafter in 2006, he was elected as the city's mayor. Four years later, he was re-elected for this position, running for the party 'Conscience of Ukraine'. February 2014 marked his transfer to Kiev when Groysman became vice prime minister for regional policy and minister of regional development, construction and housing and communal services of Ukraine in the first Yatsenyuk government. 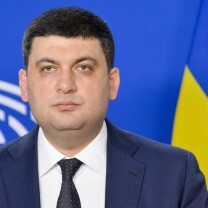 In the 2014 parliamentary elections, Groysman was elected into parliament after being in the top 10 of the Petro Poroshenko Bloc's electoral list. At the first session of the new parliament, he was elected as chairman. After the resignation of prime minister Yatsenyuk, Groysman was voted by 257 to 50 MPs as the 16th prime minister of Ukraine. Volodymyr Groysman is married and has two daughters and a son. Ukraine has a parliamentary presidential system, which means that the country elects on national level a head of state, the president, and a legislature. The president is elected for a five-year term directly by the people. The president needs a majority of the votes in the first round to be elected. Otherwise a second round is held, in which only the two candidates with the highest amount of votes (in the first round) can compete. The parliament (Verkhovna Rada) has 450 members, elected for a four-year term. Until 2005, half of the members were elected by proportional representation and the other half by single-mandate constituencies. Starting with the 2006 parliamentary election, all 450 members were elected by proportional representation, but after a change in 2011 under Yanukovich’s presidency the parallel system of proportional representation and single-member constituencies was restored. From that moment on, candidates can be elected through party lists or self-nomination. The constitution prescribes that the governmental parties must have a majority in parliament. Thus, minority coalitions are formally no option for government coalitions. Representative bodies and heads of local government throughout Ukraine are elected simultaneously with the Verkhovna Rada. On 21 November 2013, a small protest broke out after President Yanukovych abandoned a trade agreement with the European Union, favouring closer ties with Russia. After the protesters were beaten at night by police, the videos of the incident put online sparked a much larger outrage throughout the country, with hundreds of thousands of people on the streets within days, dubbed as the Maidan protest. The Maidan protests resulted in pro-EU protesters occupying the Maidan square and taking control of government buildings for months. Eventually, clashes between pro-EU protesters and the police resulted in an apogee on 18 February 2014, when over 70 protesters were killed. In the political turmoil that followed, President Yanukovich fled the country to Russia. An interim government was appointed with Olexander Turchynov as interim president. In the weeks that followed, pro-Russian protests broke out in eastern Ukraine and the southern province of Crimea. Pro-Russian and Russian forces took control of government buildings and strategic military complexes in the Crimea on 27 February, increasing tensions between Ukraine and Russia. On 16 March 2014, the Crimea joined Russia trough a referendum in which an overwhelmingly majority voted in favour of Russia. The West claims this to be a violation of territorial integrity and a violation of international law, whereas Russia says it had to protect its Russian citizens in Crimea. In the months following the annexation of the Crimea by Russia, the conflict reached a climax. Malaysia Airlines plane MH17 was shot down above eastern Ukrainian territory, killing all 298 passengers on board. The event sparked international outrage and triggered the close involvement of the international community. The European Union, the United States and other countries intensified sanctions on pro-Russian separatists and Russia. Meanwhile, the provinces of Donetsk and Lugansk declared themselves independent from Ukraine on 11 September 2014. On 6 September 2014, both parties agreed to a ceasefire in the capital of Belarus, Minsk. This so-called Minsk I ceasefire was violated continuesly, and got out of control in January 2015. In February, Ukraine, Lugansk, Donetsk and Russia agreed to the Minsk II accords, and a new ceasefire was born. However, this ceasefire was violated intensively in the first week when pro-Russian separatists opened an offensive on the strategic city of Debaltseve, which eventually led to their victory when the Ukrainian army retreated from the area. After this offensive, both parties seem to abide by the Minsk II accords, although fighting remains an every-day activity. Sanctions on eastern Ukraine and Russia remain. 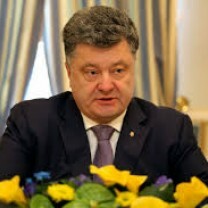 After winning the presidential elections of 25 May 2014, President Poroshenko announced that he intended to hold early parliamentary elections as soon as the political chaos in the East had been resolved. On 25 August Poroshenko dissolved the parliament and announced that early elections would be held on 26 October 2014. In late July Prime Minister Arseniy Yatsenyuk already announced that he wanted to resign, after two parties left the coalition government. However, parliament voted against this, forcing him to remain Prime Minister until the early elections. These elections on 26 October were won, by an overwhelming majority, by pro-Western parties. Yatsenyuk’s People’s Front ended as the single largest party. Preliminary single-mandate districts results showed, however, that Poroshenko’s Bloc will likely have the most MPs overall. Despite all the changes in the country, “attempts to bribe voters in this election were probably as common as under President Viktor Yanukovych”, said a local observer from the Ukrainian OPORA election watchdog. The police had opened several criminal cases regarding voter bribing. In their preliminary findings and conclusions on the parliamentary elections, the OSCE stated that “there were a number of credible allegations of vote buying, many of which are being investigated by the authorities”. But in general, candidates were free to campaign, and the election campaign was competitive and visible. Misuse of administrative resources was not named as an issue of major concern, unlike in previous elections. Overall, the OSCE’s preliminary findings showed that democratic principles were generally respected. With all votes counted, the Central Election Commission (CEC) showed six parties passing the 5 percent electoral threshold and thus entering Ukrainian Parliament. Far right-wing party Svoboda seems not to have made it into parliament, with 4.71 percent of the votes. Voter turnout was 52.4 percent. Remarkable is that 64 MPs were re-elected to parliament who had voted for the highly controversial laws of 16 January, which then President Viktor Yanukovych’s Party of Regions pushed through parliament amid the Maidan movement, severely limiting certain rights, including the freedom to association. Three days after the elections, the far-right wing party Svoboda released a statement claiming ‘mass falsifications’ based on the difference between the exit polls (which gave Svoboda 6.3 percent of the votes) and the actual results. The party believes that it had in fact passed the 5 percent threshold, and that the alleged falsifications are the result of efforts by Russian President Putin and his ‘agents’’ in Ukraine. CEC Chair Mikhail Ohendovski promised the party to check the ballot protocols of the districts where Svoboda believes falsifications took place. In the East, polling stations did not open in the areas controlled by separatists, designated as the so-called Donetsk and Luhansk “People’s Republics”. These two breakaway regions held their own elections on 2 November 2014. They insisted they will never again be part of Ukraine. During the regular parliamentary elections on 26 October only 42 percent of the people in the Donetsk region and 26 percent in Luhansk were able to vote. As a result, 27 out of 450 parliamentary seats (also including the seats representing the annexed Crimea region) will be left vacant. The EU has not recognized the elections of 2 November in the Donbas and stated that they were illegal. Chairman of the Foreign Affairs Committee of the European Parliament said that: “The EU will not recognize these illegitimate elections, held contrary to Ukrainian legislation. In addition, such elections contradict the Minsk Protocol and are aimed at breaking the peace process in the Donbas region.” EU Foreign Policy Chief Federica Mogherini called the vote an "obstacle to peace". Also the OSCE said it would have nothing to do with the elections and the organisation did not send any international observers. President Poroshenko called on Russia to denounce the vote. He described the elections as a "farce, [conducted] under the barrels of tanks and machine guns". The Russian Foreign Ministry, while not recognising the election, said it “respects the will of the people of Southeast Ukraine". As mentioned above the OSCE preliminary report was quite positive. The report mentioned that “there were many positive points to the process, such as an impartial and efficient Central Election Commission, an amply contested election that offered voters real choice, and a general respect for fundamental freedoms”. However, the OSCE also stated that “there were a number of credible allegations of vote buying, many of which are being investigated by the authorities”. But in general candidates were free to campaign, and the election campaign was competitive and visible. On March 31 2019 the first round of presidential elections was held in Ukraine. Comedian Volodymyr Zelensky enjoyed 30.23 percent of the votes so far, with the Central Election Commission (CEC) now having counted 99.88 percent of the votes. Incumbent President Petro Poroshenko was second with 15.95 percent, followed by Bativshchyna Party leader Yulia Tymoshenko with 13.38 percent. Frontrunner Zelensky, 41 years old, is best known for his role in the political comedy series Servant of the People where he plays a teachers that becomes president of Ukraine through some extraordinary circumstances, and proceeds to fight corruption and shake up the political system. During his anti-establishment campaign he mocked his political rivals with jokes, sketches and other performances. Zelensky promised that, if elected, he will fight against corruption and for reforms. Moreover, he promised to address and implement peace talks for eastern Ukraine. He also wants to implement a new law on ‘People’s Rule’ in order to establish referendums where Ukrainians could express their expectations for the authorities. More than 35 million people were eligible to vote in the first round. A second round will take place on April 21. The 2014 elections were held in Ukraine on Sunday 25 May as former president Yanukovych was ousted by the Euro Maidan revolution on 22 February. Petro Poroshenko, the winner of the presidential elections with 54.7 percent of the votes, became president of a country in chaos. Two eastern regions declared independence and were plagued by violence as the country faces bankruptcy. The new president of Ukraine was tasked with restoring peace and order in the country. Poroshenko claimed the victory at his Kyiv headquarters. He spoke in Ukrainian, Russian and English saying “The first steps of my team will focus on ending the war, the chaos, the unrest and bring peace to the land of Ukraine”. Poroshenko promised leniency towards non-violent separatists in eastern Ukraine “For those people who don’t take [up] weapons, we are always ready for negotiations to guarantee them security, to guarantee their rights, including speaking the language they want”. He was also committed to end the conflict with Russia and wanted to start negotiations to replace the Budapest Memorandum. He said “without Russia it would be much less effective or almost impossible to speak about the security in the whole region”. Many of the people in the eastern part of the country were not able to vote. The Kyiv government lost control in large parts of the Donbas region where separatists did not allow people to vote. In the city of Donetsk, home to one million Ukrainians, not a single polling station was opened. With the rise of armed groups, the increasing paramilitary activity and a population that distrusts Kyiv, voter turnout in the eastern regions of Ukraine was very low. In other parts of Ukraine the voter turnout was very high. The elections were seen as the most important since Ukrainian independence. Mykola Hosovskiy, of the General Prosecutor’s Office stated “For the first time in the history of election processes in Ukraine, there were no complaints [...] about the use of administrative resources”. The Socialist Party of Ukraine was founded in 1991. It called itself the successor to the Communist Party of Ukraine, but chose to form its own program and develop a new emphasis in its political activities. After the return of the Communist Party and the creation of the Progressive Socialist Party in 1993, the SPU lost its leftist monopoly. It also lost its ideological vestiges of the past and opted for reform. The new program underscored the need to carry out privatization, implement changes to the tax and criminal codes, fight corruption and introduce a pro-European foreign policy. The SPU calls itself democratic socialistic, but shows signs of social democracy. After the Orange Revolution, which it supported, the SPU ran independently in the 2006 parliamentary elections. It received 33 seats in the Verkhovna Rada, and was part of the governing coalition. In the 2007 parliamentary elections, however, the party did not pass the threshold of 3 percent, winning only 2,86 percent of the votes. Analysts say this loss could perhaps be explained by disagreement within the potential SPU-electorate concerning the coalition-participation of the SPU after the 2006 elections. The fact that the SPU changed sides, leaving the Orange Revolution partners to join the coalition of Prime Minister Yanukovych (Party of Regions), was used by Timoshenko to portray the SPU and its leader as unreliable traitors. On 17 and 18 December 2011 several minor parties merged with the SPU: the Farmer’s Party, All-Ukrainian Party ‘Children of War’, ‘Children of war National Party of Ukraine’ and the Kozak Fame party. Nonetheless, the party won 0.46 percent of the national votes in the parliamentary elections of 2012 and no constituencies, and thus failed again to pass the electoral threshold. The party did not participate in the 2014 parliamentary elections. The SPU is not an observer or associate member of the Party of European Socialists (PES) and the Progressive Alliance (PA). Petro Poroshenko Bloc (Ukrainian: Блок Петра Порошенка, Blok Petra Poroshenka) is a political party in Ukraine created on 27 August 2014. The party won the 2014 Ukrainian parliamentary elections with 132 seats, gaining a majority in parliament. The Petro Poroshenko Bloc is a Ukrainian liberal-conservative party, previously known as Solidarity party, which was set up by the current President of Ukraine, Petro Poroshenko, in 2001. In August 2014, Solidarity was renamed to Petro Poroshenko Bloc, and Yuriy Lutsenko, the former Minister of Internal Affairs, was unanimously elected its head. The party's main objective is helping Poroshenko implement his election promises, such as furthering Ukraine's aim to become a member of the European Union, enhancing social protection, ending corruption and establishing energy independence. The party's current election program is called 'Strategy 2020' and aims to implement 60 reforms and special programs that will make Ukraine eligible to apply for EU membership within six years. The party's position also includes open list elections, decentralisation, creation of independent media, abolishment of the immunity of senior officials, privatization of all Ukrainian coal mines and liquidation of all mines that cannot be privatized. The party is also concerned with the ethnic issues within the country, it is aiming to ensure language rights for Russian speakers at the same time maintaining Ukrainian as the official language. The party also pays special attention to the plight of Crimean Tatars. In the War in Donbass the party advocates an end to the conflict by peaceful means. Opposition Bloc Ukraine is a political party founded in 2014, and is mainly known as the party that has become the new political home of the de facto defunct Party of Regions, of ousted President Victor Yanukovich. In the latest parliamentary elections it won 29 seats, making it the 4th largest party. It was the successor of another party called “Leading force”, which was founded in 2010 but did not participate in the parliamentary elections of 2012. The party started working on 14 September 2014, after a forum took place in Kiev based on Peace, Stability and revival, six parties who all did not want to endorse Euromaidan, decided to merge and take part in the 2014 parliamentary elections as Opposition Bloc. The six parties that decided to merge were: Party of Development of Ukraine, All-Ukrainian Union “centre”, Ukraine-Forward!, Labour Ukraine, New politic and “state Neutrality”. Prior to the forum in Kiev, an American lobbyist called Paul Manafort was hired as an advisor to the presidential administration of Ukraine. Instead, he decided to argue to help stabilize Ukraine, and advised to create a new political party called Opposition Bloc. At the parliamentary elections, Yuriy Boyko headed the party’s election list, though he also mentioned that Opposition Bloc does not represent parties, but rather consists of only individual politicians. On 27 November 2014, an opposition bloc parliamentary faction of 40 people was formed. Following the 2015 local elections, Opposition Bloc was one of the winners. Opposition Bloc is a social liberal party. It wants a non-aligned status for Ukraine and wants to prevent Ukraine from becoming a member of NATO. They also want to protect Russian as a regional language, and want maximum decentralization. As the core party of the former Yulia Tymoshenko Bloc (BYuT), Batkyvschina has been in parliament since the 2002 parliamentary elections. After the November 2011 banning of the participation of blocs of political parties in parliamentary elections, the party became a major force in Ukrainian politics independently. In the 2012 parliamentary elections the party also added "United Opposition" to its name, aligning several other parties under its colours. The Yulia Tymoshenko Bloc (BYuT) was named after its leader and founder of the Fatherland Party (1999) Yulia Tymoshenko. After she was forced to step down in 2001, the Fatherland Party began to oppose presidential policies and Tymoshenko led the united opposition in 2001, creating the National Salvation Forum. The main goal of the forum was to form an electoral bloc aiming to oust President Kuchma. In November 2001, the bloc was renamed Yulia Tymoshenko Bloc. It consisted of the Fatherland Party, Sobor Party, Social Democratic Party, Republican Party, Conservative Republican Party, Christian Democratic Party, and Patriotic Party. The bloc gained 7.2 percent in the 2002 elections. BYuT cooperated with Our Ukraine in the 2004 presidential elections, supporting Viktor Yushchenko’s candidacy. Once Yushchenko was appointed President after the Orange Revolution, Tymoshenko became Prime Minister. However, the cooperation faltered and finally resulted in Yushchenko sacking Tymoshenko on accusations of corruption. BYuT then ran independently in the 2006 parliamentary elections and became the second largest party, beating Yushchenko’s Our Ukraine. However, it went into opposition. In the 2007 parliamentary elections, BYuT managed to stay the second biggest party in parliament, almost closing the gap with the Party of Regions. Shortly after the elections, it was announced that BYuT and the Our Ukraine – People’s Self Defense Bloc formed a coalition. Yulia Tymoshenko became the new Prime Minister. After Yanukovych won the presidential elections in 2010 and the parliament ousted Tymoshenko 's coalition in a no-confidence vote, Tymoshenko went into the opposition again. In order to obtain a majority in parliament, Yanukovych needed the support of several extra MPs. Eventually, some BYuT MPs joined his coalition. Tymoshenko had to go to jail, after being found guilty of abuse of power and being sentenced to 7 years in prison. She also had other lawsuits running against her as well, connected to her time as prime minister. 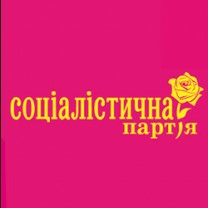 After the participation of blocs of political parties in parliamentary elections was banned in 2011, Batkyvschina became the umbrella party with its election list including members of Reforms and Order Party, People's Movement of Ukraine, Front of Changes, For Ukraine, People's Self-Defense, Civil Position and Social Christian Party. In July 2012 members of the Mejlis of the Crimean Tatar People joined this list. This list named themselves United Opposition “Fatherland”. Because of the imprisonment of Tymoshenko at the time, Front for Change leader Arseniy Yatsenyuk headed the election list and is still the party's leader in parliament. The party remained the second largest in parliament after the 2012 elections (101 seats or 22.67 percent of the votes). Tymoshenko was released from prison during the Maidan revolution of 2014, as Yanukovich was ousted, but hasn’t managed to regain the prominent role that she had in Ukrainian politics. She has been allied with the European People’s Party (EPP). The Ukrainian Democratic Alliance for Reform (UDAR) is a political party headed by Ukrainian professional heavyweight boxer Vitali Klitschko. In its current form the party was founded on 24 April 2010 on the basis of the Vitali Klitschko Bloc, a local political alliance in Kiev. The party has an anti-corruption and pro-European platform. During the 2010 Ukrainian local elections the party gained about 400 representatives in municipalities and Oblast Councils (regional parliaments). The party’s election list was a mixture of candidates who used to represent parties from all over the political spectrum of Ukraine. In July 2012, party leader Klitschko stated that his party would not cooperate with the Party of Regions in the new parliament. In the 2012 parliamentary elections UDAR won 13.97 percent of the national votes and 6 constituencies and thus 40 parliamentary seats. During the Maidan revolution, Klitschko was one of the political leaders representing the Maidan at talks with Yanukovich and the European leaders. The All-Ukrainian Union “Svoboda” (“Freedom”) was formed in February 2004 with the arrival of Oleh Tyahnybok as party leader. The party is the successor of the Social-National Party. Svoboda is a Ukrainian nationalist party that often voices opposition to perceived Russian influences in Ukraine. The party is known for its anti-communist stance, and several party activists over the years have been accused of trying to destroy communist-era statues. The party views the dominating role of Ukraine's oligarchy as "devastating". While oligarchs have typically played a major role in the funding of other Ukrainian parties, Svoboda claims to receive no financial support from oligarchs, but rather from Ukraine's small and medium-sized businesses. The party has been accused of racism and anti-Semitism, which it denies. Party leader Tyahnybok stated in November 2012 that “Svoboda is neither an anti-Semitic nor a xenophobic party nor an anti-Russian party. Svoboda is also not an anti-European party. Svoboda is simply and only a pro-Ukrainian party”. This “pro-Ukrainian” element can be seen in Svoboda's political program; the party wants to ban adoptions by non-Ukrainians of Ukrainian children, wants to abolish Crimean autonomy and is in favor of criminal prosecution for 'Ukrainophobia'. Svoboda went up from a marginal regional party to a power represented in the parliament within only a few years. Its national success was preceded by a local success, which analysts explain as a result of the policies of the Azarov government, who were seen as too pro-Russian by the electorate. In the 2012 parliamentary elections the party’s results where much higher than expected, with 10,44 percent (almost a fourteenfold of its votes compared with the 2007 parliamentary elections) of votes and 38 out of 450 seats in the Ukrainian parliament. In the 2014 elections the party only gained 4.71 percent, or 6 seats. The Our Ukraine Bloc was officially formed in February 2002 and united ten nationalist and centre-right parties that emerged during the time Ukraine gained independence. The gathered parties historically all had an anti-communist rhetoric and their goals broadly were to keep distance from Russia and strengthen Ukraine’s statehood. The bloc’s priorities are a significant increase in the wellbeing of the majority of Ukraine’s citizens; a strong economy and effective social protection; a just society and the establishment of a moral and honest government. The bloc supports the integration of Ukraine into the EU and NATO. In 2004 the Our Ukraine bloc and the Yulia Tymoshenko Bloc united forces in the presidential elections, both backing Yushchenko’s candidacy in the Orange Revolution. On 26 December 2004 Our Ukraine’s leader Viktor Yushchenko was elected as president. On 5 March 2005, parts of the Our Ukraine Bloc consolidated into a new party, the Our Ukraine People's Union. For the 2007 parliamentary elections the Bloc changed its name into Our Ukraine – People’s Self Defence Bloc, merging with the People’s Self Defence Party. Viktor Yushchenko remains the leader of the party. The party tries to transform its image from right wing nationalist to liberal. Our Ukraine has an observer status at the European People’s Party. The Communist Party is the successor of the Soviet Communist Party. Its main supporters are elderly and pensioners. Between 1991 and 1993 the party was temporarily forbidden. With the country’s economy in decline, it grew in popularity and re-emerged during the 1994 parliamentary elections. The CPU received a lot of protest votes, however, analysts predicted a decline because of aging of their electorate and the outdating of their Soviet nostalgia. In the 2002 elections they were cut by half, winning just 65 of the 450 seats in parliament. After the 2006 elections, it had only 21 seats, but in the 2007 elections, the party regained some seats, winning a total of 27 seats in the Rada. In 2010, the Communists joined the governing coalition of President Yanukovych, after signing an agreement with the Party of Regions and the Lytvyn Bloc. The communists are loosening their Soviet style arguments and argue for respect for private business, freedom of religion, a multi-party system and foreign investments. According to their leader Petro Symonenko state policy should be based on balancing real incomes and expenditures, with the surplus spent on services like education and healthcare. They are against Ukrainian NATO membership. Yulia Tymoshenko was born in 1960 in Dnepropetrovsk. In 1984 she graduated from the Dnepropetrovsk State University, faculty of Economics. After graduation she worked as an engineer-economist in a machine-building plant in Dnepropetrovsk. After that she went into private business and together with her husband headed several commercial enterprises, including oil and gas trade. The latter grew into a multi-million enterprise and was in trouble with the tax authorities by 1996. Tymoshenko claimed the authorities were harassing her because of political reasons. In 1997 Tymoshenko became first deputy to the leader of the All-National Movement Hramada, Pavel Lazarenko and entered parliament for the first time in 1998. Both harshly criticised the Kuchma Presidency. In November 1998, however, she unexpectedly called for a dialogue with Kuchma and left Lazrenko, motivating this by his authoritarian rule of Hramada. She then created her own political force, Batkivishina. In 2001 Tymoshenko, while president of United Energy Systems of Ukraine, was removed from her position and arrested under charges of forging customs documents and smuggling gas between 1995 and 1997. After her release she called on Yushchenko to head the opposition movement. In 2004 Bloc Yulia Tymoshenko and Yushchenko’s Our Ukraine announced the creation of the Force coalition to support Yushchenko’s candidacy in the 2004 presidential elections. As a result of repeat elections after mass demonstrations (dubbed ‘Orange Revolution’) Yushchenko became president and Tymoshenko PM. The relationship between Yushchenko and Tymoshenko was bad and deteriorated even further over years among squabbles and power struggles. She was PM on and off. She ran for president in the 2010 election as the main rival to Victor Yanukovych, losing the Presidency by 3 percent of the votes. Tymoshenko was released from jail following the Maidan revolution, after being found guilty of abuse of power and being sentenced to 7 years in prison. Yulia Tymoshenko is married and has a daughter. Vitali Volodymyrovych Klitschko (Ukrainian: Віта́лій Володи́мирович Кличко́), was born on 19 July 1971 in Belovodsk, Kyrgyzstan. He is a Ukrainian politician and the current Mayor of Kiev (the capital and largest city in Ukraine), head of the Kiev City State Administration and former professional boxer. He is the leader of the Ukrainian Democratic Alliance for Reform (UDAR) and a former Member of the Ukrainian parliament. During the 2004 Ukrainian presidential elections and the following Orange Revolution, Klitschko openly supported the candidacy of Viktor Yushchenko. 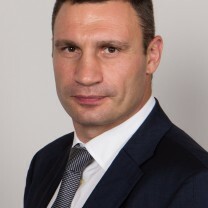 Klitschko became actively involved in Ukrainian politics in 2005 and combined this with his professional boxing career until his departure from boxing mid-December 2013. In 2005, Klitschko was appointed as an adviser to President Yushchenko. He was a leading figure in the 2013–2014 Euromaidan protests, and he announced his possible candidacy for the Ukrainian presidency but later withdrew and endorsed Petro Poroshenko. He was elected Mayor of Kiev on 25 May 2014. The UDAR Party together with Vitaly Klitschko decided to enter the Verkhovna Rada elections in 2014 together with the Petro Poroshenko Bloc and even though Klitschko won a seat, he gave it up to stay on as Mayor of Kiev. Klitschko sees the European Union as Ukraine's model for future political and economic development. He is also in favour of NATO-Ukraine cooperation. Klitschko's main concern is social standards and the economy of Ukraine. He believes "the issue of language is not the top priority". He also advocates lower taxes to stimulate the economy. He wants to ensure the independence of judges by switching from a system of appointed judges to a system of elected judges. 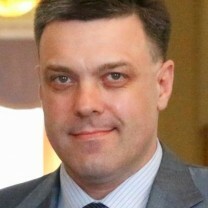 Oleh Tyahnybok was born on 7 November 1968. He is a Ukrainian politician and leader of Svoboda. He is also a qualified surgeon. In 1998 he was elected to parliament as a member of the Social-National Party. Four years later, he was re-elected, but as a member of Victor Yushchenko’s Our Ukraine bloc. Just two years after this, he was expelled for mentioning Ukrainian Insurgent Army as an example of those who armed up against "Russians, Germans, Jews and other enemies who wanted to take away our Ukrainian state", in a speech. Since February 2004 Tyahnybok has headed Svoboda. In April 2005, he co-signed an open letter to President Yushchenko calling for a parliamentary investigation into the "criminal activities of organized Jewry in Ukraine". In the 2012 parliamentary elections Svoboda won 37 seats in parliament. However, in the 2014 elections the party did not reach the 5 percent threshold in the party list voting. Nevertheless, they managed to win 6 seats through the constituencies. But it still means a big loss for the party. Nadia Savchenko: A war hero turned terrorist?